Hicks Law Group PLLC is pleased to announce that Managing Partner Rebecca Hicks has been honored as a member of the 2014 Texas Super Lawyers list. 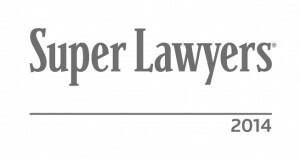 Super Lawyers is a Thomson Reuters ranking service and publication. Its Texas Super Lawyers 2014 list recognizes what its criteria deem are “outstanding” lawyers from more than 70 diverse practice areas across the state of Texas. No more than five percent of attorneys in the state are selected for inclusion on this list, which is compiled through the publication’s patented multiphase process that includes a statewide survey of lawyers, an independent research evaluation of candidates and peer reviews by practice area.